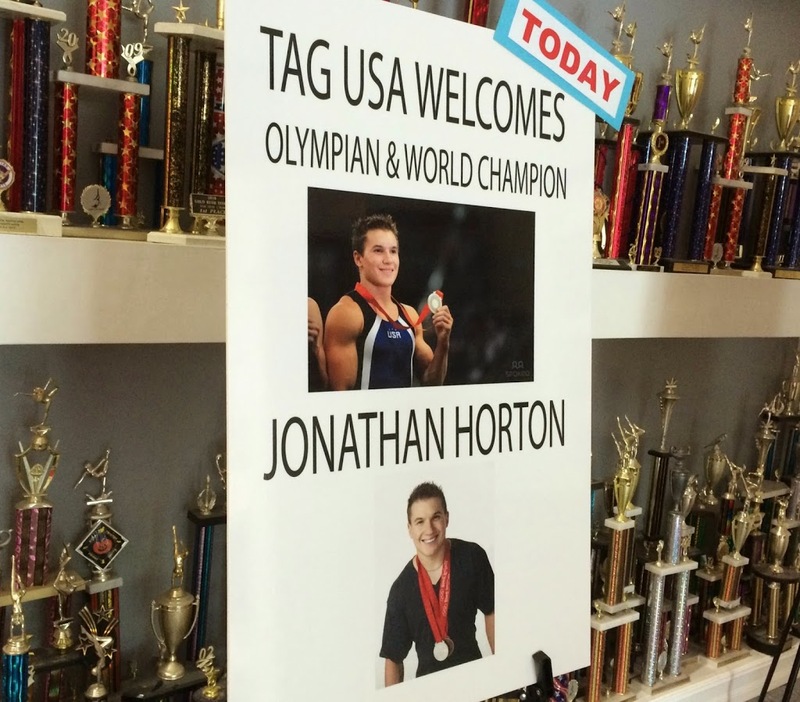 Olympian Jonathan Horton visits TAG Gymnastics in Weston, FL. You could call him the Derrick Rose of the gymnastics world. 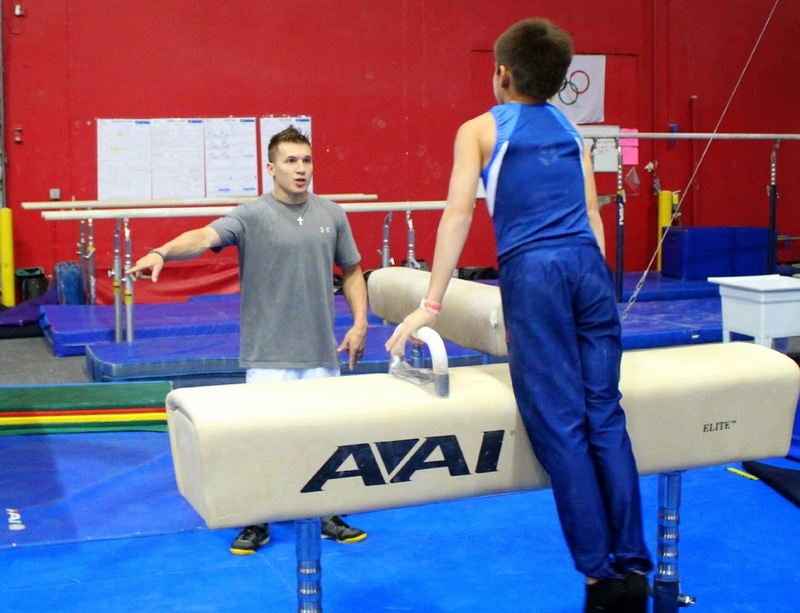 “I’m the old man of gymnastics!” Horton joked at TAG USA Gymnastics in Weston, FL. “I’ve had a rough two year of injuries, but I’m hoping to make a comeback in August. Hopefully I’ll make the world team this year and then be off to Rio in 2016.” If he does indeed make the team, it will be Horton’s third Olympic appearance, his first was in Beijing in 2008 where he captured the silver medal. The now for Horton could be called his golden years as a gymnast. At 28 years old, this new father knows this is his last chance to compete. But Horton is training hard, and still focused on winning. “I’ve always had the internal desire to be good, I just want one more shot.” And as focused as he is on a trip to Rio de Janeiro for the 2016 Summer Olympic games, Horton may be proudest of his newest job title. Parenthood changes many, providing perspective on just how fragile life and health may be. Now Horton relishes the role of the dad, and he has some sage advice for parents of budding gymnasts. TAG USA has been a leader in Broward gymnastics for over 40 years. Owned my Marissa and Michael Zoldan, TAG has also been called a ‘second home to gymnastic Olympians’ because of their involvement and visits to the facility. Jonathan Horton will once again be appearing tomorrow, June 24th, as is Nastia Liukin next week. 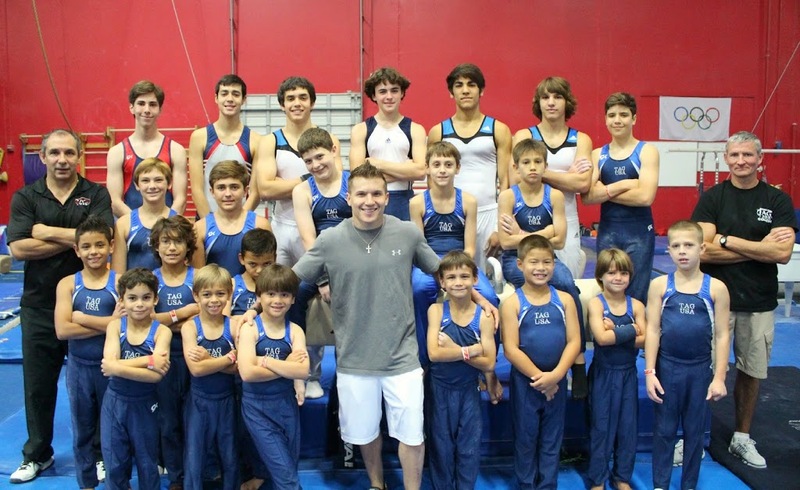 Learn more about TAG USA Gymnastics and their fantastic programs at TagGymnsatics.com. I love how he says that “gymnastics taught him about life” so important to have a point of reference to guide us through life. So inspiring! The dedication top athletes have towards their goals is truly amazing! Awesome! My daughter loves gymnastics. 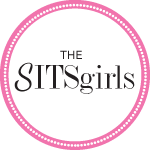 When it comes to athletics, this is the side that many don’t see — but wholeheartedly should: the dedication, the sheer “stick-to-it-ive-ness.” Because that’s what it takes. 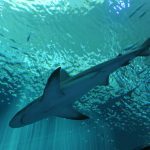 Great post, Kristen, and continued success to you, Jonathan! What an awesome post. I love, love, love gymnastics. It is one of my favourite sports to watch. It amazes me at what gymnasts can do with their bodies. I love that picture of Horton with his son. Adorable!